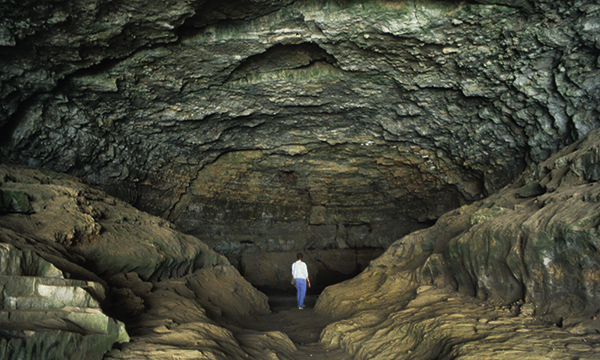 Few natural formations are as awe-inspiring or intriguing as a cave. The deep, dark recesses immediately conjure up images of adventure and mystery. At Cave-In-Rock in southern Illinois, atop the high bluffs overlooking the scenic Ohio River, the heavily wooded park is named for the 55-foot-wide cave that was carved out of the limestone rock by water thousands of years ago. In addition to the natural splendor of the cave itself, the park contains hiking trails of moderate difficulty for exploration and appreciation of tranquil forests and inspiring views. There are three developed playground areas for children and shaded picnic areas situated throughout the park provide tables and grills. 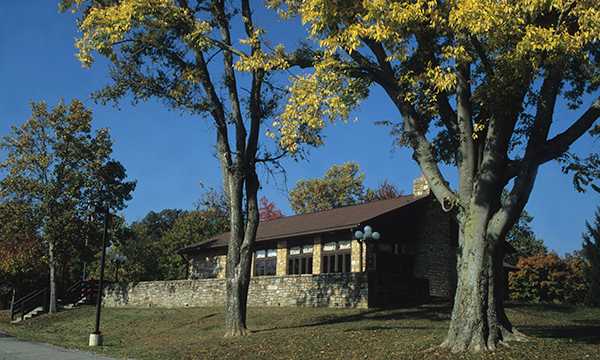 Four large picnic shelters are available for group gatherings. 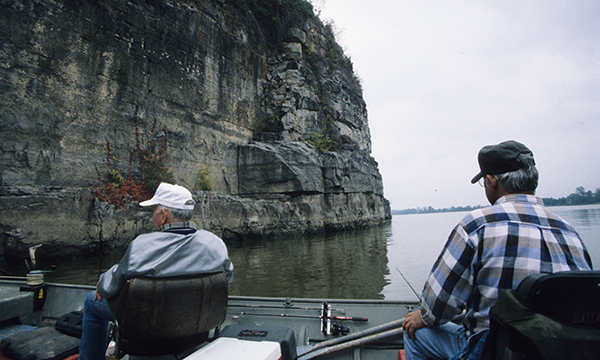 A pond is available for fishing, and the Ohio River provides excellent fishing, boating and water sport opportunities. The river can be accessed directly from two boat ramps. On the scenic north side of the park are camping accommodations with 34 Class A sites and 25 Class B/S tent sites. 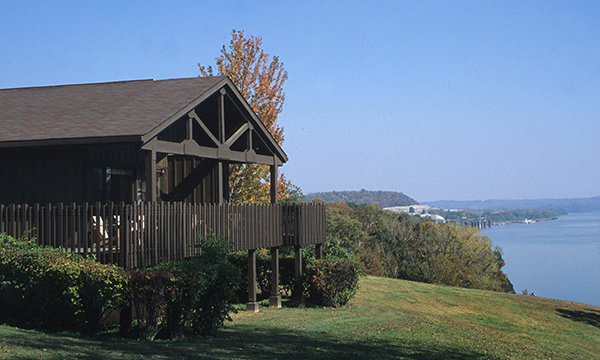 Cave-in-Rock State Park is located on the Ohio River in Hardin County, Illinois. To reach the park from the northern parts of Illinois, proceed south on I-57 exiting at Marion, IL, on highway 13 east. Go east through Marion and Harrisburg to the intersection of Illinois 1 and 13. Turn south 22 miles on highway 1 to Cave-in-Rock State Park. From the south, take highway 90 from Marion, KY., and cross the Cave-in-Rock ferry and follow directional signs to the park entrance. From the southeast take I-24 west from the I-24 bridge to exit #16, then go 38 miles east on Illinois highway 146 to the park. From Southern Indiana, proceed through Evansville, IN traveling West on highway 62 and Illinois highway 141 to Illinois Rt. 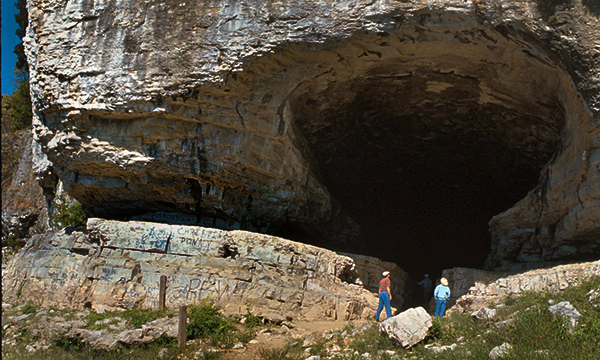 1, then go south 36 miles to Cave-in-Rock State Park. • While groups of 25 or more are welcome and encouraged to use the park's facilities, they are required to register in advance with the site office to avoid crowding or scheduling conflicts. • At least one responsible adult must accompany each group of 15 minors. • Pets must be kept on leashes at all times. • Actions by nature can result in closed roads and other facilities. Please call ahead to the park office before you make your trip. • We hope you enjoy your stay. Remember, take only memories, leave only footprints. 1 New State Park Rd.